Believe all the hype. 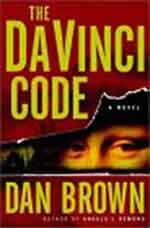 It is no accident that The Da Vinci Code is the best selling novel of all time. This is a brilliantly conceived book, as well written as any thriller out there, only better. Why? Because it's not a mystery about spies, corrupt corporations, or hi-tech weapons. It's about Divine mysteries that have been kept from us by the permutations of time and by corrupt individuals in high spiritual places. These are core issues of spirituality and gnosis that resonate with our pysche and subconscious views, built up over lifetimes. It is this that makes the book so compelling. Fortunately, the fact that the author is an very good at his craft, adds to the enjoyment. The action starts in the Louvre with the murder of a man who is desperate to pass on secret information but has to do it through codes and ciphers so the information does not fall into the wrong hands. 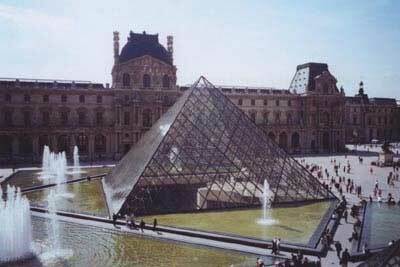 He leaves clues utilizing the works of Leonardo da Vinci inside the Louvre. Why da Vinci? Because he was privy to many of the secrets that have been an anathema to the Vatican, Protestants and the Inquisition for the last two thousand years. 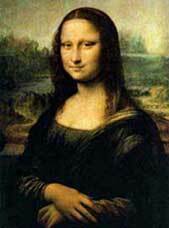 Da Vinci cleverly painted clues to some of the true mysteries of Christ into many of his paintings. They are artfully utilized in this book. 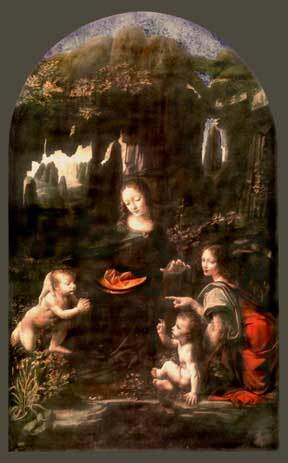 All three of Da Vinci's paintings pictured here are instrumental in unfolding the mystery. Da Vinci broke with the traditional view of the Last Supper. The clues explained in the book are not readily apparent although well known to those versed in Templar and Priori of Sion legend. 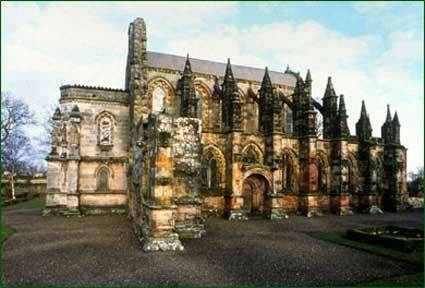 Here sits Jesus in the middle, with his twelve disciples on both sides. Right? Not necessarily. One of the traditional twelve is not pictured here. In his place is painted someone who is considered in Gnostic tradition, his best disciple. I won't go further. It is a thriller and mystery after all. The story reaches it's climax at Rosslyn Chapel below and finally back in Paris where one final clue is waiting at the Louvre. This is a book that begged to be written. I wish I had written it. If I had, I would have added two not so insignificant details. The fact that many important concepts have been changed or left out of the Bible and Church Doctrine by various councils (e.g. the Nicean) is well delineated. However one crucial understanding is left out, that of reincarnation. (For more on reincarnation go to this link on this site: Karma and Reincarnation). It is an important element in the age old strife of hiding and destroying the esoteric teachings of all major religions. There are fallen angels and Watchers reincarnating among us. Jesus came to judge and expose them. He used the Book of Enoch, which is vitally concerned with fallen angels, as his guide. They are the ones who sew dissension among religions and always corrupt the original teachings. The other thing I would change is the author's mistaken conclusion as to the meaning of the Holy Grail. He can be forgiven, for it is a common mistake among this type of research. I won't ruin the story for you by revealing his contention. His conclusion is partially correct but ultimately the true meaning is so mystical, so elegant in it's simplicity that is overlooked because it is buried beyond the ken of mortal eyes. The mystical Chalice is not just buried deep within some well nor moved around from place to place. It is centered in the heart that can only be reached by ardent striving, pursuing the Path of Christ and the Buddha. No one can give us the Chalice although those who have become it, are a tremendous aid on the trek upward. The mysteries of God have been kept from us. But there are ciphers enough left in the world to help us find the key. This book is one of those keys for the uninitiated.